Carolina Dispute Settlement Services is a non-profit, private organization dedicated to the process of cooperative resolution of conflicts with the intervention of alternative dispute resolution methods. We offer services to the community, the private sector and the courts. ​and provide our community an enhanced quality of life through improved social relations. Carolina Dispute Settlement Services' small group training is dynamic and tailored to the unique needs of our participants. Relevant role plays, lively lectures by seasoned mediators, and opportunities for real world mediation through our clinics make CDSS the go-to for mediation training. 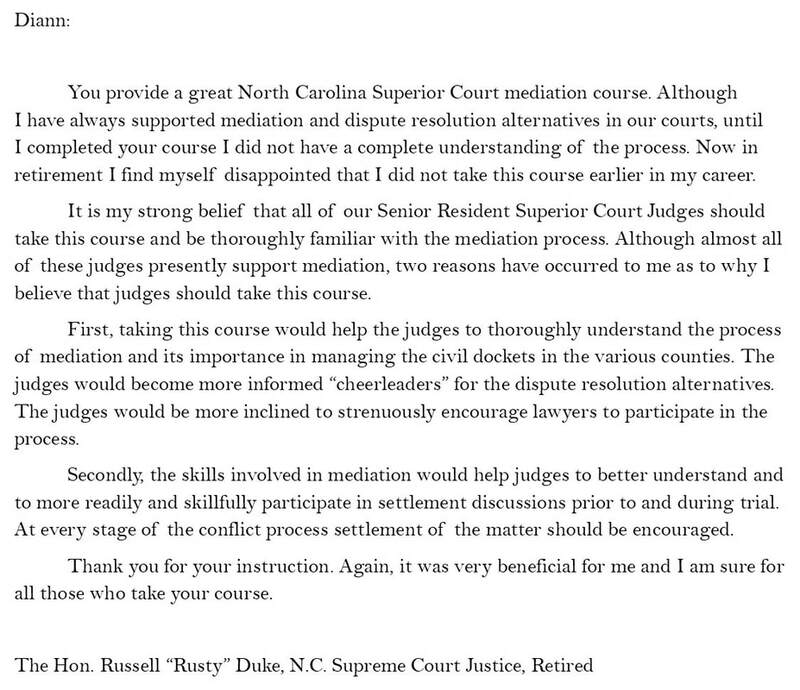 CDSS is a North Carolina Dispute Resolution Commission-approved instructor for mediation programs. CDSS is an equal opportunity employer and provides services regardless of race, color, gender, age, sexual orientation, religion, creed, national origin, veteran status or disability.